This level has hard difficulty. 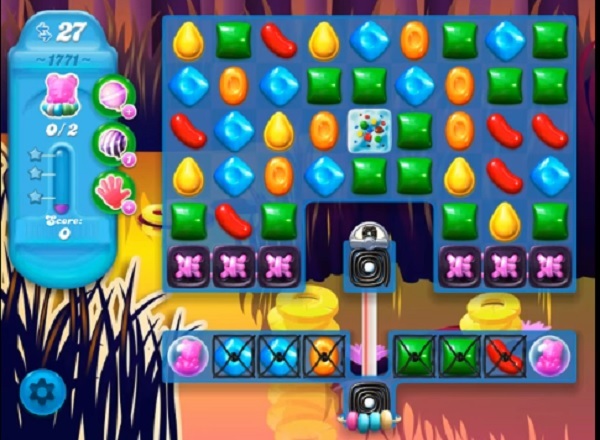 For this level try to play from bottom to shuffle the candies and make special candy as you get the chance. Combine them with each other and and use more striped candy to move the bears. For a long time didn’t meet so much unpleasant level, and layout totally different with what is with any tips. Absolutely disgusted. Very frustrated with this level. It doesn’t look like yours, much more difficult, I’ve been trying to win for over a week. This is not the same as the one I am playing. I have had many days on it and it seems impossible. Please check out how different it is. Frustrating! Impossible. Too hard. Not enough moves. Same here. The bears are blocked and whole row next to the bears is blocked and needs to be hit multiple times. Not possible!!! Just curious if anyone gets a response or if this is just for venting on frustrating levels? I’ve never gotten a response or an updated board on this site. This board is very outdated. She said this level is very hard! It’s hilarious. If we had her board it doesn’t look that hard compared to what we have does it? I believe you have to purchase striped lollipops if you want to win this level.